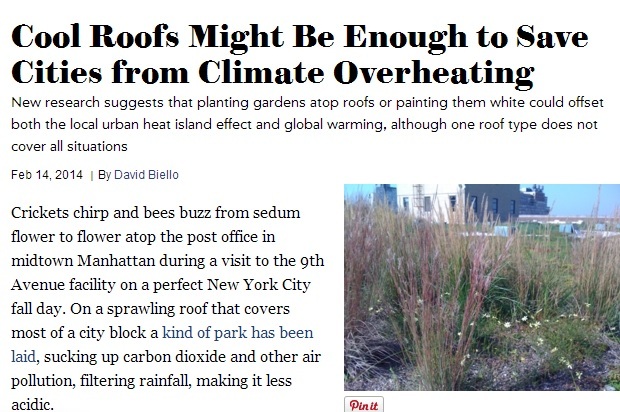 “A large enough number of such roofs could “completely offset warming due to urban expansion and even offset a percentage of future greenhouse warming over large regional scales,” says sustainability scientist Matei Georgescu at Arizona State University, who lead the research. That conclusion contradicts previous findings by researchers from Stanford University, who found that reflective roofs actually might increase global warming. The continuous studies on cool roofs and their effects on climate change are still in their early phases. There are still variables that need to be factored in, such as location, temperature, and climate; in order to completely say that cool roofing can help solve global warming problems. However, one clear benefit of cool roofs is their ability to insulate homes and protect them from excessive heat, thus generating energy savings for homeowners. Experienced roofers in the Palo Alto or Sunnyvale areas, such as Shelton Roofing, can install the right kind of cool roofs in a California home. Likewise, competent roofers in Sunnyvale, Palo Alto, and other cities who pride themselves as being green companies, can be expected to observe energy-efficient and eco-friendly measures that will help in protecting the environment.